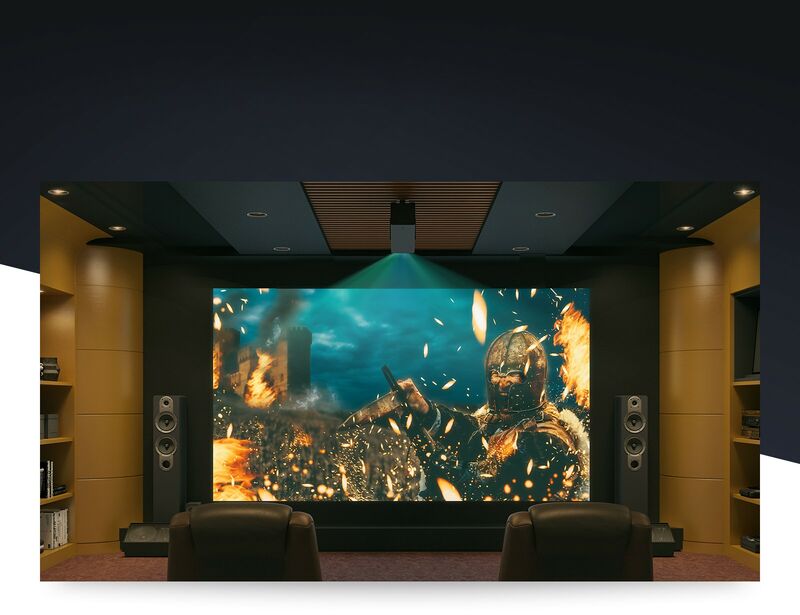 Experience a truly cinematic viewing environment with a projection screen of up to 150 inches. The powerful laser light source displays brighter images and lasts up to 20,000 hours. 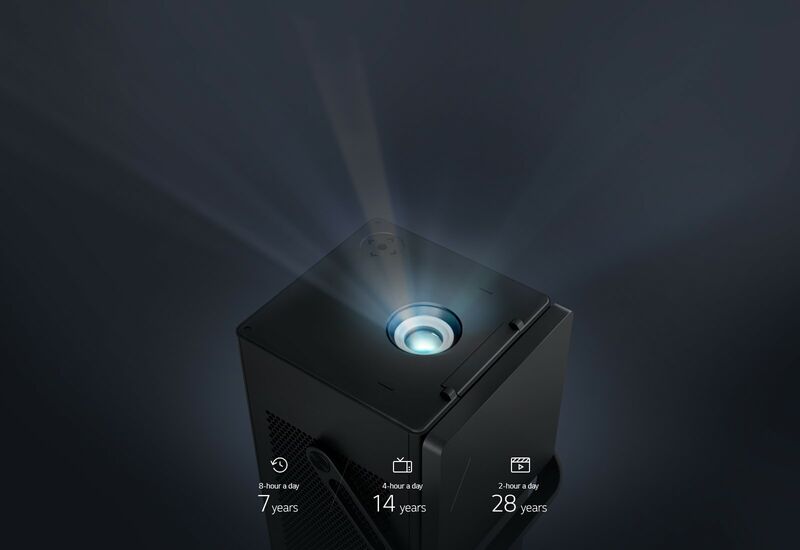 If you were to play videos on this projector 8 hours a day, then the laser light source would last for 7 years. 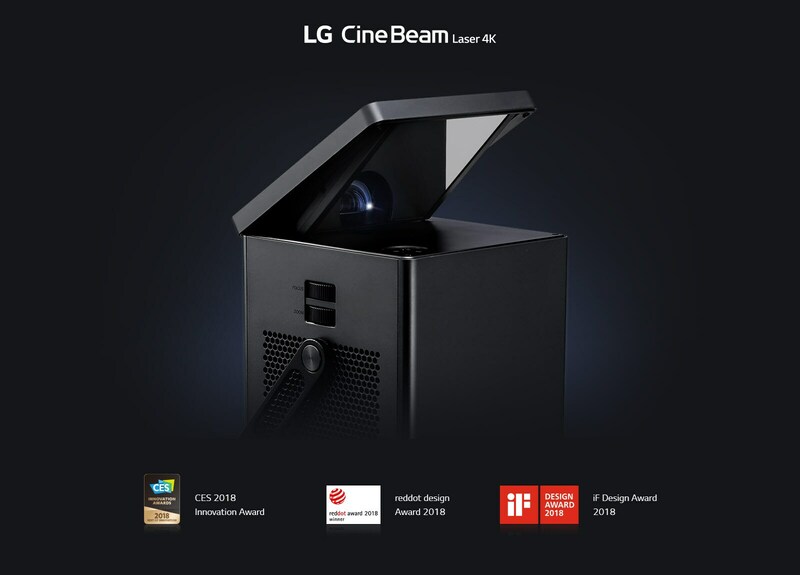 Based on 500-hour use, the initial brightness reduction rate is 65% for the lamp, but 99% for the laser. It maintains brilliant brightness without expensive replacement costs over time. 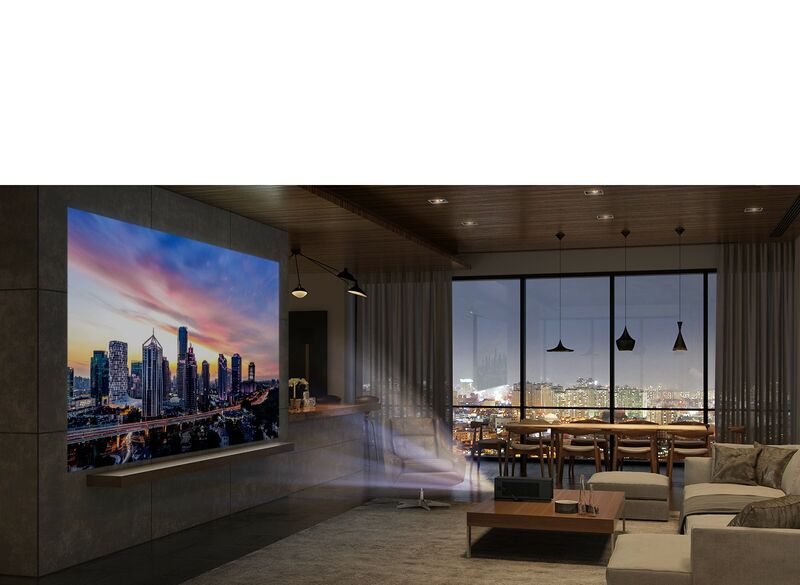 To provide viewers with a better HDR experience, both adaptive tone mapping and colour correction are used for more vivid visuals. 2,500 lumens result in gentle light, producing clear images in an indoor environment without any harsh brightness. MEMC (Motion Estimation and Motion Compensation) Technology, a type of video processing where animation frames are generated between existing frames, makes animation look and feel more fluid. With half the size of conventional, a transforming design, and a mirror at the lens cover, It is optimally designed for custom installation in your home. 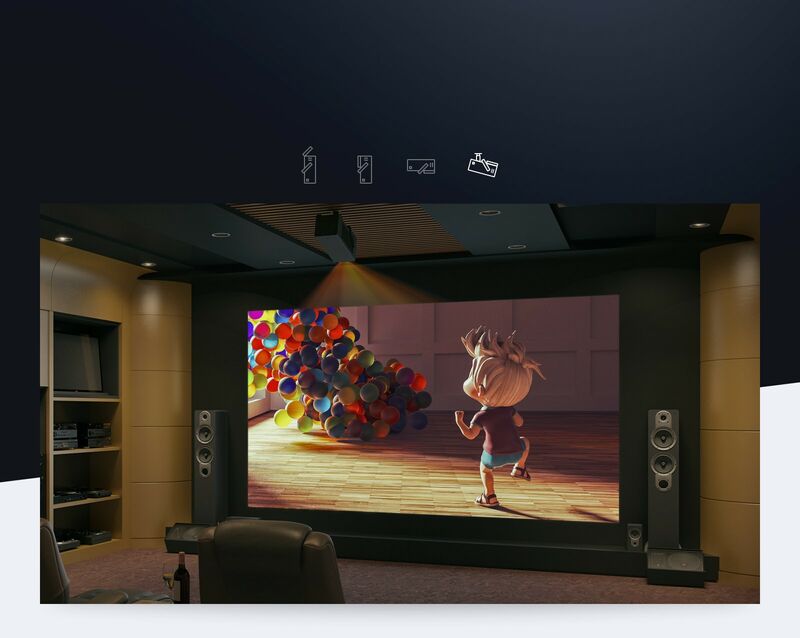 Change the projected screen size from 66 inches (excellent for TV) to 150 inches (ideal for movies) with 1.2 × Zoom. 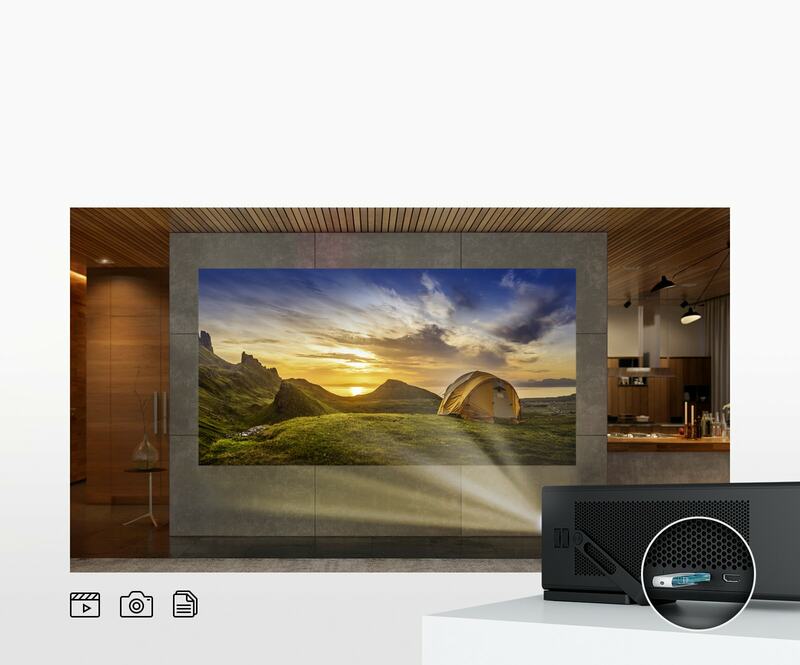 Simply move the projector to easily set up any wall space as a screen. 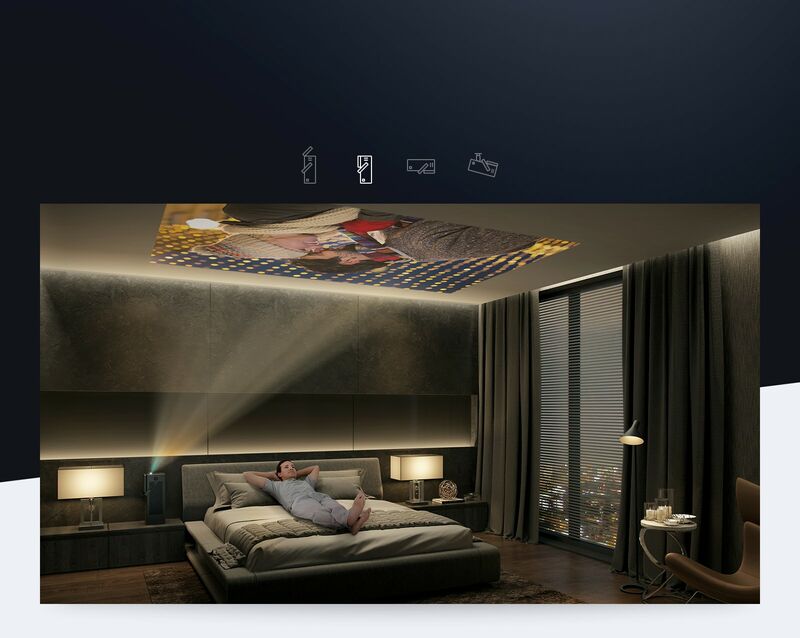 Feel free to enjoy the projector anywhere in your home. Its cord reel and hand grip make it easy to clean up and carry. 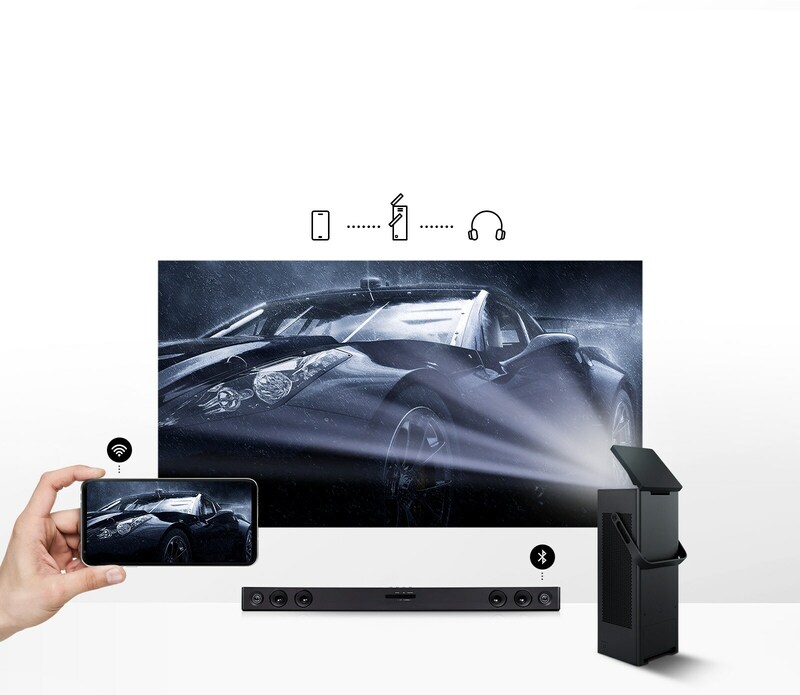 Enjoy optimized SMART UI for the big screen and smart functions. 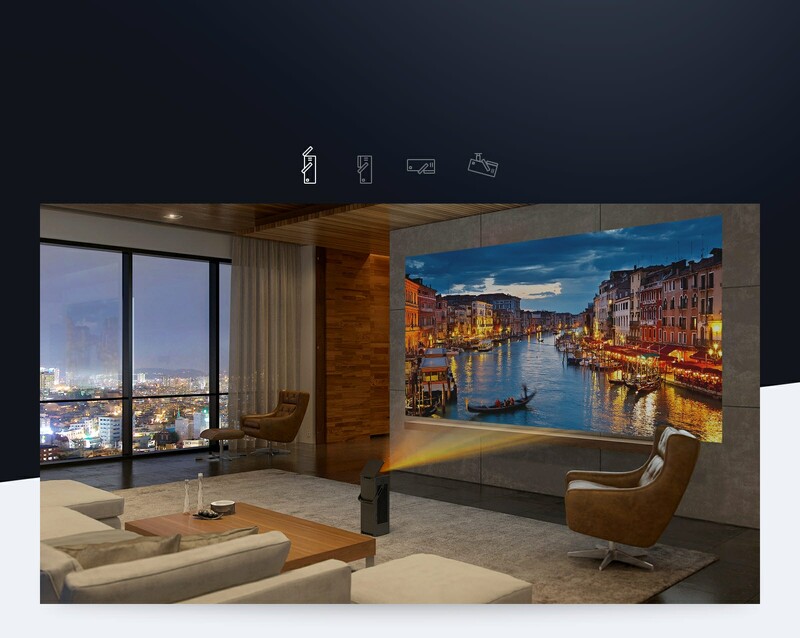 Content navigation is easy, with a UI design based on TV customer feedback. 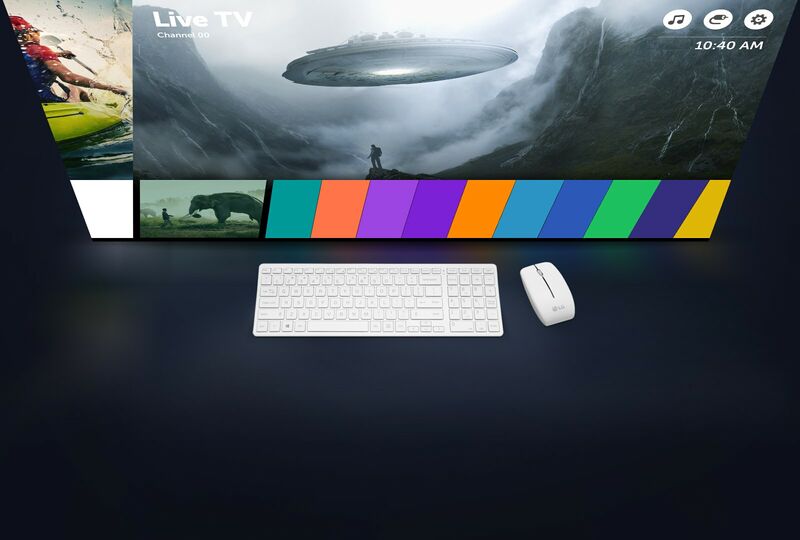 Using a wireless keyboard and mouse is also supported for user convenience. 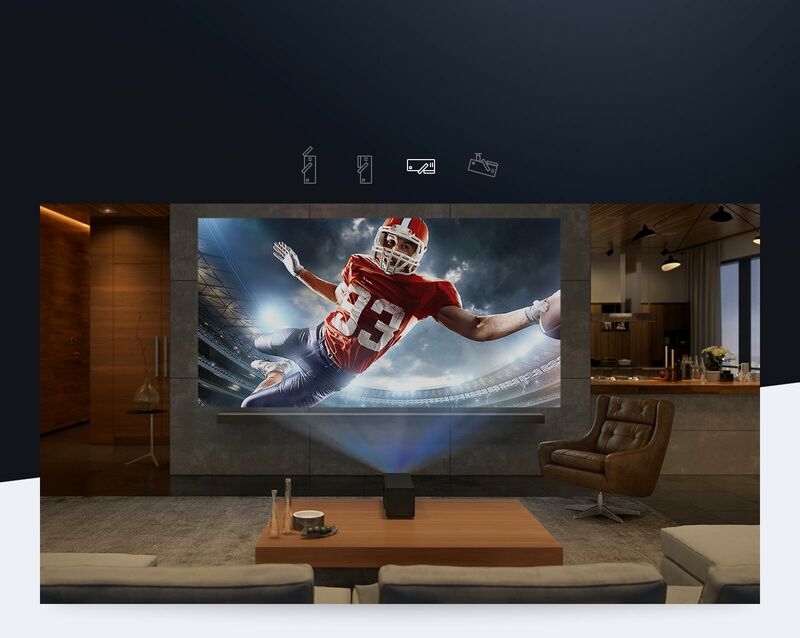 The wireless mirroring takes advantage of Miracast® to project content from smart devices onto a large projection screen. It can also be paired with any Bluetooth audio product such as an external speaker or headphones.